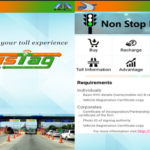 It has often been seen that while going for trips especially through National or State highways, one is required to pay some amount as the toll tax. Paying a toll tax through cash is a hectic and time consuming task. It takes a lot of time to stand in a queue, wait for his/her turn and make the toll payment through cash. This is moreover insecure, as one is required to carry sufficient cash with him/her during his/her trip. But, now one can make use of a reloadable and easy to use tag that is identified with the help of a radio frequency and is affixed on the windscreen of his/her vehicle. 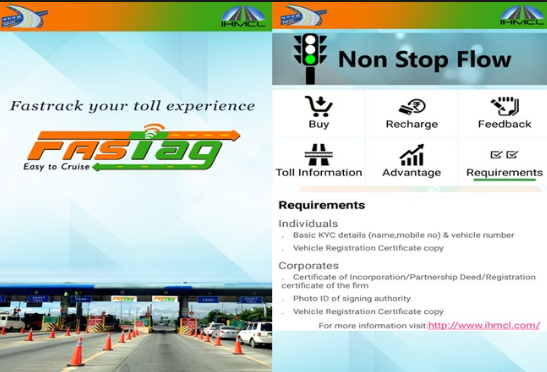 This tag is called FASTag, which enables its users to get the amount of toll tax automatically deducted from his/her account. This is the account which is directly linked to one’s FASTag. This enables its users to make the payment of his/her toll tax without eve getting stopped for making the payment through cash. How is FASTag effective to use? It is said that a FASTag is very easy to use and has validity of 5 years. One can enjoy using this tag repeatedly during that period of time by getting its recharged One can make an online recharge of this tag using his/her debit card, net banking, credit card, Paytm wallet, Oxigen wallet, making NEFT/RTGS, paying through cheque, etc. Making a recharge online is considered as the safest system. This is because; there is no such cashless transaction. It is said that one cannot make a recharge of this tag for not more than one lakh. It facilitates its users with an ease in making payment and hence it helps in saving their lot of time. It has a special online portal for the customers, wherein they can get the detailed information. It facilitates its users with environmental benefit by reducing the use of paper as well as the reduction of air pollution. It provides its users with economic benefit by reducing their effort in monitoring centrally or my reducing their efforts for management at Toll Plaza. It is also helpful in reducing their hassle while making payment of Toll. One can get the alerts of all the transactions made by his/her account in the form of SMS on his/her registered mobile number. The users can also enjoy special cashback offers, exclusive deals, redeemable coupons and huge discounts while making its online recharge. It is said that the amount of cashback or discount is directly credited into one’s account in a week of the successive month. This tag is applicable for all kinds as well as types of vehicles. This tag can be acquired by a person after submission of his/her KYC documents. If one loses his/her tag, he/she can call the customer support center and get that card blocked. Be the first to comment on "How is FASTag effective for its users?"